The 2019 NCAA Tournament Bracket has been released and if you’re like me, you’ve probably made five or ten brackets with hopes of getting close to correct on one. Or maybe you’re somewhat of a bracket purist, sticking with your one set of predictions that you really believe in. Either way you, know that the NCAA tournament is filled with upsets that are tough to predict, and seem to bust your bracket each and every year. I recently wrote a piece about the the trends in the biggest upsets in recent March Madness history, which included ten #14, #15, and #16-seeded teams that claimed victories in the last seven years (1.43 per year). With the bracket announced recently, I decided to look at the potential upset specialists, and narrow down which teams may have a chance based on the trends I discovered in my previous research. So who has an opportunity to pull off the big upset? To narrow it down right off the bat, each of the ten teams I studied previously had won at least 19 games in prior to the tournament, so that eliminates NC Central, North Dakota State, and Iona from the running. They will also be facing off against North Carolina or Duke in the first round, and I don’t see any way those team could pull of the win against the two ACC giants. The remaining teams are listed below. For this exercise, I will look at each of the trends I found from previous big-time upsets and see what teams match those criteria. The parentheses after the team names indicates how many trends that team has matched. The first trend I spotted in my previous analysis was that nine out of ten teams were led by a dynamic scoring scoring guard, including seven out of the ten being led by an upperclassmen. Old Dominion is the leader in the clubhouse after this trend analysis, as they have two senior guards who average over 16 points per game. Yale also gets big-time contributions from junior Miye Oni (17.6 ppg) and Georgia State is led by junior D’Marcus Simonds (18.4 ppg). Eight of the ten teams that pulled the big upset in the last seven years had at least a five-game winning streak going into the tournament. Many were also facing teams that were lacking momentum, but we will break this up into two categories. The teams with winning streak of five games or more are listed below. Colgate leads this trend with 11 straight wins, while Fairleigh Dickinson has also ripped off nine straight, including their win over Prairie View. Trendy upset pick Yale has probably the least amount of momentum, going 4-3 in their last seven games into the big dance. In the ten previous upsets that I researched, the higher seed had won their conference tournament just five out of 10 times, and some of the winners had some momentum question marks going into March Madness as well. Though this category may be a bit more subjective, here are the Cinderella’s facing teams where momentum may be lower. Nine of the ten potential upset specialists are playing against teams that did not win their conference tournament, so I narrowed it down a little more by looking at previous games and gauging the overall state of the conclusion of the season. LSU has the controversy surrounding their coach and was upset by Florida in their conference tournament, making them the easiest target. Purdue has lost two of their last three (both to Minnesota), Tennessee is just 6-4 in their last ten games, and Michigan hasn’t won more than two in a row since January. The beneficiaries of these trends would be Yale, Old Dominion, Colgate, and Montana, respectively. Each of the ten teams that pulled off upsets over a top-three seeded team was 84th or better in field goals made (out of 351 DI schools). They were also proficient in moving the basketball, as six of the ten ranked either first or second in their conference in assists. The standout squad of this bunch is Northern Kentucky, who ranks 21st in the nation in field goals and 7th overall in assists. Colgate also has similar numbers, ranking 39th in field goals and 18th in dimes on the season. 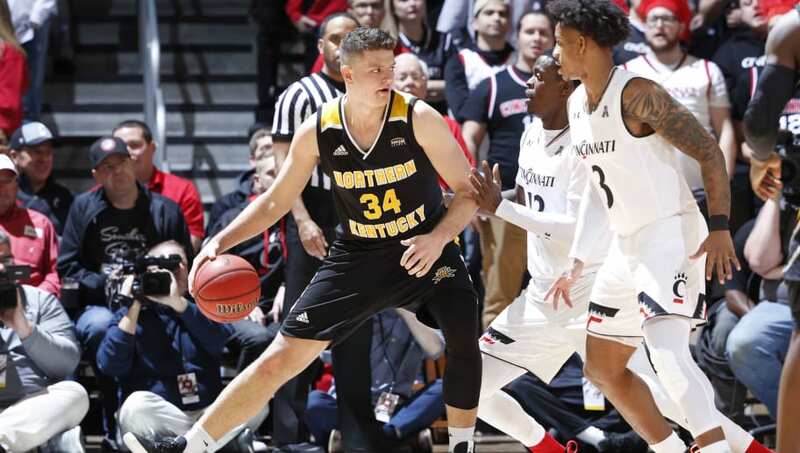 Northern Kentucky runs an efficient offense centered around big man Drew McDonald. Photo by Getty Images. Each of the ten teams that have pulled off the big upset in the past ten years were ranked in the top five in their conference in steals, with four being ranked in the top five nationally. In the wins, the Cinderella’s won the turnover battle in seven of the ten games. Fairleigh Dickinson, Abilene Christian, and Georgia State are the stars of this show, as each rank in the top 10% of college basketball in steals. Abilene Christian leads the way, as they rank 12th in the country in swipes. Eight of the ten upset specialists in recent years played at least three power-five schools or collected a win against a power five school in the regular season. Georgia State knocked off both Georgia and Alabama in the regular season, also playing against tournament teams in Montana, Liberty, and Kansas State. Obviously these categories aren’t exactly precise and they don’t necessarily say that one of these teams are better than the others, but they do show how similar these squads are to other upset specialists in the recent past. I think that each of these for teams has a decent shot to pull off the big win, but Georgia State is my favorite after this analysis. The Panthers have pulled off the big upset before with coach Ron Hunter and their style of forcing turnovers and nailing threes lends well to the tournament setting. I wouldn’t be shocked if they knocked off Houston. 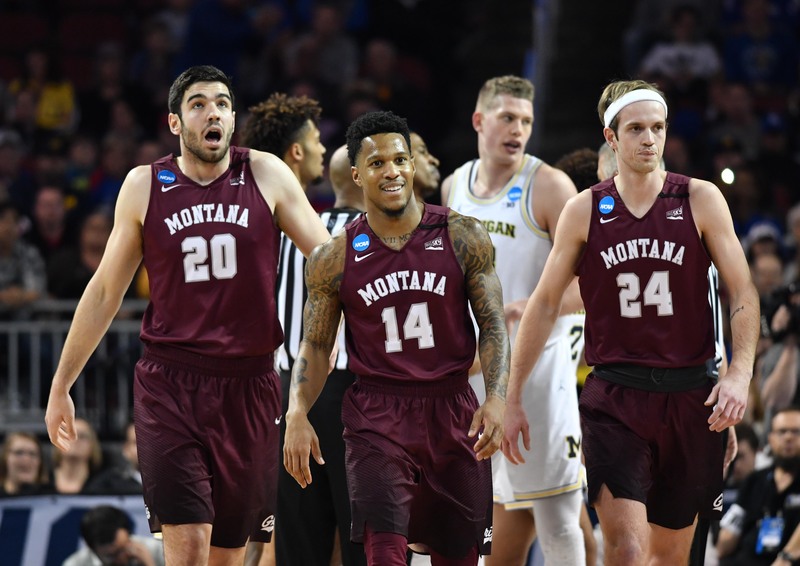 Montana has a trio of upperclassman guards who are averaging 10+ points a game, and they shot the three-ball at nearly a 40% clip from three in conference play. Michigan is a tough team on both ends of the floor, but if the Grizzlies get hot, I think they could topple the Wolvines. Montana is 8th in the country in FG% at 49.7%. The Knights pulled off an impressive comeback victory over Prairie View in the First Four round, and they have the tools to have a chance to pull out an absolute shocker against Gonzaga. They are the fifth-best three point shooting team in the country (by percentage), they force turnovers at a high rate, and are led by a senior guard in Darnell Edge. On the flip side, Gonzaga hasn’t been tested much in their conference season and recently fell to St. Mary’s. There’s a reason only one sixteen seed has won in the history of the NCAA tournament, but I believe Fairleigh Dickinson has the best shot in this year’s bracket.